Facebook announced Thursday a new feature that should please restaurant owners and anger the likes of Yelp: menus built right into an eatery's Facebook page. If you own a restaurant and have a page, the option should be available now: Just go to settings, then page info, and "Menus" should be right there for you to fill out. The option is a shot across the bows of other local food-finding services; previously, though you might find a new restaurant nearby through Facebook, you'd probably end up searching for it on Google or elsewhere to take a look at their menu. By simplifying the process, Facebook keeps users on their own platform and off others. 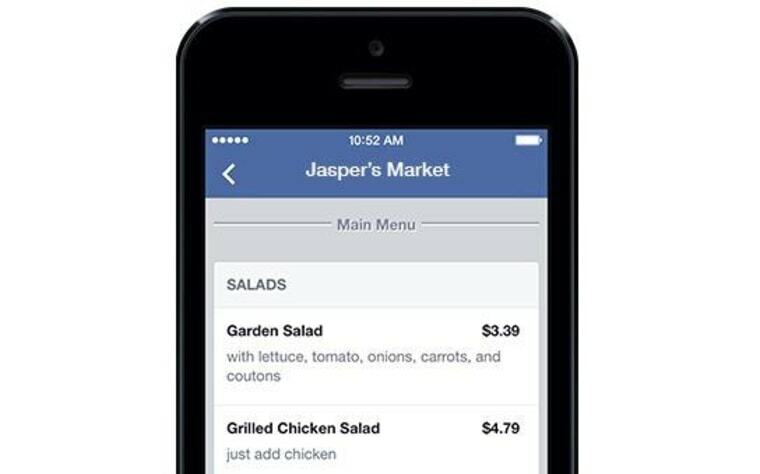 Interestingly, adding menus isn't done by filling out a few dozen fields — Facebook's engineers probably figured that was too much trouble for the average restaurateur to bother with. All that's needed is to upload a PDF of the menu, or email it to Facebook support, and it'll appear in a couple days (though a spell-check might not be amiss).